Recently a friend of mine from New Zealand posted on Facebook her annoyance at Buddha Air’s discriminatory airfare on the flight from Varanasi to Kathmandu. Foreigners were made to pay much more than Indians and Nepalis. In Nepal, wherever you go you are faced by different charges depending on where in the world you come from and whether you look like a tourist. It is assumed that if you come from a non-SAARC country and you are not a local, you must be rich. After all, foreign tourists have been able to afford the air fare to get to Kathmandu, which is usually much more expensive than to go to most other Asian countries. However, looking at many of the Chinese, Indian and other SAARC nationals you see wandering around Thamel, many are as well-heeled if not wealthier than many non-Asian foreigners these days. The most obvious price discrimination is when a foreigner has to fly domestic within Nepal. Local passengers pay less than half of what foreigners pay. Even resident foreigners only get a 20 percent discount. A single fare to Nepalgunj from Kathmandu costs a Nepali Rs 8740 (about US $77), but a foreign passenger pays over double (US $183) and this has to be paid in dollars. Trekkers flying to Lukla, perhaps the most popular destination for tourists, are charged US $ 175-185 per person, while Nepalis and Indians pay a third (Rs 6500, less than US $60) for the same 30-minute flight. Not only are prices quoted in dollars, but foreigners are charged in dollars. The price for them is constantly fluctuating. Once I nearly missed a flight from Kangil Airport, a tiny, obscure airport in Solukhumbu that did not have a mobile phone signal. As they did not know the rate of exchange, they did not know what to charge for the ticket until the last minute, when they managed to get radio contact with Phaplu to give them the rate so they knew what to charge me. 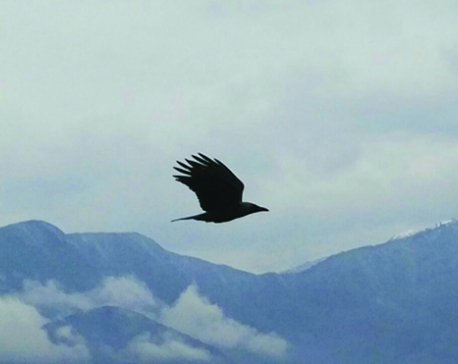 As it is costly to fly to the furthest extremities of Nepal, it is difficult to encourage foreign tourists to visit these places. It is impossible to develop tourism in areas like Far-West and eastern Nepal unless something is done to make it easier for tourists to get there. Few tourists want to spend 18 hours on a bus. The airlines to these places don’t make much money from foreigners, as not many fly unless they have to. Flying to Dhangadi recently, I was the only foreigner on the flight. Returning from Nepalganj a week later, there was only one other foreigner (not a tourist). It is little wonder that foreigner tourists balk at paying so much more, making it an expensive flight by any standards. My return flight Kathmandu-Dhangadi and Nepalgunj-Kathmandu cost over 340US $, or more than half of what I’d paid for a return flight from London to Kathmandu. Little wonder few foreign tourists fly domestic other than to go to Lukla (which is changing as more find alternative routes by road). If the airlines charged less, they would get more foreign tourists visiting places in Nepal that are hard to reach, providing a boost to tourism in these areas and economic benefit to the people there. Similar discriminatory pricing is applied to national parks where Nepalis pay just Rs 100 to enter all national parks except Chitwan (Rs 150), while foreigners are charged 20 or 30 times more. Entering national parks and other places of interest, even higher discrimination applies. Different rates apply to foreigners, members of SAARC countries and Nepalis. In addition, these days many of the new municipalities have taken it upon themselves to charge additional fees. For example, to enter Sagarmatha National Park, a foreigner faces a list of charges: the entry permit fee (Rs 3,000) plus 13 percent VAT (Rs 390). Khumbu Pasang Lhamu Rural Municipality charges Rs 2,000, which used to be Rs 1000 earlier. Where there are restricted area permits, it is even worse. In Upper Mustang a foreigner has to fork out for a permit US $500 per person for the first 10 days. In Langtang foreigners pay a princely Rs 3,390 park entry fee while SAARC nationals only have to pay Rs 200 and Nepalis just Rs 100. The difference is even more extreme in Manaslu where foreigners pay 70 US $ (about Rs 8000) for the Restricted Area Permit that increases by 10US $ per day after the first week. Plus Rs 2,000 (Manaslu entry fee) and Rs 2,000NPR totalling at least Rs 12,000. 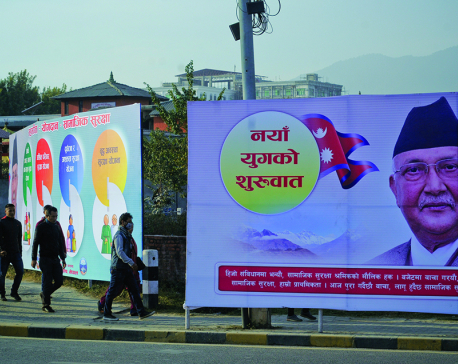 SAARC nationals get away with just paying Rs 400 and Nepalis still less. Though it is argued that Nepalis can’t afford high rates and it is only fair that locals should not be charged much to visit the national parks, it could be argued that this is not really true in many cases, nor does it encourage local tourists to take care of their beauty spots. Litter that is left in many of the national parks is not left by foreign tourists. In some places, like Rara Lake, the ease and cheap access has meant that local tourists are taking their motorbikes there, leaving piles of trash and generally destroying what was largely pristine and free of rubbish. Arguably local tourists are not as destitute either, since they are going to these places to drink beer and have fun. They can afford more than Rs 100 for entry fee. Maybe by charging them a higher price closer to what foreign visitors pay, this might help them appreciate that the place has some value. Foreigners face the same sort of price discrimination while entering Durbar Square in Patan and Kathmandu, Swayambunath, Boudhanath Stupa and places like Bhaktapur. Speaking with Nepalis, many feel embarrassed at the way foreigners are constantly being asked for higher payments. While the government might want to argue that foreign tourists are rich and can afford it, perhaps they are forgetting how for most, they have had to spend hundreds of dollars to even set foot in Nepal. And while they may be happy to dig deeper into their pockets to pay for good quality services, the constant charges that they find they are paying can become irritating. Nepali tourism relies a lot on guests who return time and time again, but many are starting to think twice before they come back. Nepal is not a cheap country that is for sure, but charging foreign visitors so much extra like this makes them feel that they are being cheated all the time and that Nepal’s welcome is becoming conditional on how much money they can be milked for.